The U.S. Department of Energy’s (DOE) Innovative and Novel Computational Impact on Theory and Experiment (INCITE) program is now accepting proposals for high-impact, computationally intensive research campaigns in a broad array of science, engineering and computer science domains. From April 15 to June 21, 2019, INCITE’s open call provides an opportunity for researchers to pursue transformational advances in science and technology through large allocations of computer time and supporting resources at the Argonne Leadership Computing Facility (ALCF) and the Oak Ridge Leadership Computing Facility (OLCF). The ALCF and OLCF are DOE Office of Science User Facilities. Open to researchers from academia, industry and government agencies, the INCITE program will award up to 60% of the allocable time on DOE’s leadership-class supercomputers: Summit, the OLCF’s 200-petaflop IBM AC922 machine, and Theta, the ALCF’s 12-petaflop Cray XC40 system. Proposals may be for up to three years. To submit an application or for additional details about the proposal requirements, visit the INCITE proposal instructions webpage. Proposals will be accepted until the call deadline of 8:00 p.m. EDT on Friday, June 21, 2019. Awards are expected to be announced in November 2019. To achieve computationally readiness, INCITE applicants are encouraged to apply for a Director’s Discretionary allocations at the ALCF: https://www.alcf.anl.gov/dd-program, and at the OLCF: https://www.olcf.ornl.gov/for-users/documents-forms/olcf-directors-discretion-project-application/. The ALCF hosts a variety of training events designed to help researchers prepare and improve their codes for the facility’s supercomputers, including the ALCF Computational Performance Workshop (April 30-May 2, 2019), the Simulation, Data and Learning Workshop (October 2019), and the ALCF Developers Sessions (monthly webinars). For more information, visit: https://www.alcf.anl.gov/training. The OLCF is also offering some upcoming events designed to help users advance their research on its leadership-class systems. The OLCF’s 2019 GPU Hackathons are intended to help GPU programmers prepare and optimize their codes for the facility’s supercomputers. For more information, visit https://www.olcf.ornl.gov/for-users/training/gpu-hackathons/. From May 21 to 23, 2019, the annual OLCF User Meeting provides an opportunity to share computational science and engineering achievements, advance OLCF’s relationship with its user community, and highlight computational requirements for the future. For more information, visit https://www.olcf.ornl.gov/calendar/2019-olcf-user-meeting/. UT-Battelle LLC manages Oak Ridge National Laboratory for DOE’s Office of Science, the single largest supporter of basic research in the physical sciences in the United States. DOE’s Office of Science is working to address some of the most pressing challenges of our time. For more information, please visit https://science.energy.gov. 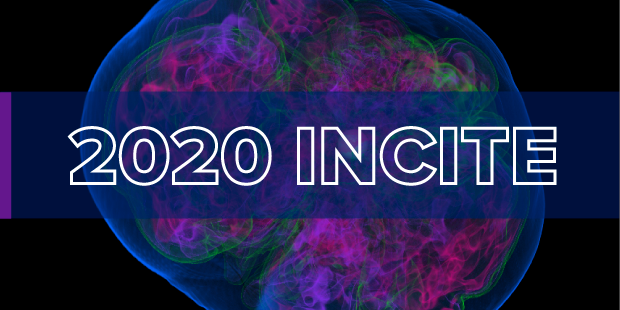 From April 15 to June 21, 2019, INCITE’s open call for proposals provides an opportunity for researchers to pursue transformational advances in science and technology through large allocations of computer time and supporting resources at the ALCF and OLCF. The background image is from a 2019 INCITE project led by Adam Burrows of Princeton University. It shows a volume rendering snapshot of the entropy of the debris of the exploding core of a 16 solar-mass star, 271 milliseconds after its collapsed core bounced at nuclear densities. (Image credit: Adam Burrows, David Radice, and David Vartanyan, Princeton University; M. Aaron Skinner, Lawrence Livermore National Laboratory; and Joshua Dolence, Los Alamos National Laboratory).